James Gunn has confirmed the script for 'Guardians of the Galaxy Vol 3' is already "in the works". Following the successful release of the first two Marvel Cinematic Universe movies, the screenwriter-and-director has been busy working on the next installment and has been in touch with Marvel boss Kevin Feige about the future of the characters. 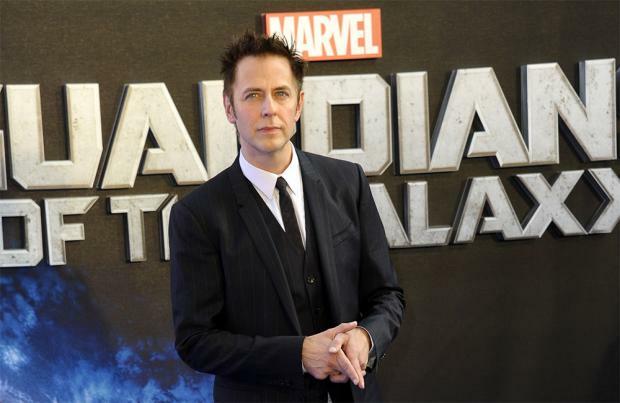 Speaking to the Hollywood Reporter, Gunn - who helmed the two first movies - said: "Those scripts are already in the works. Kevin and I talk about it all the time; we just had a meeting today. "Discussing what is the next iteration of cosmic characters and where are the characters that we've already created going to go in the next batch of films." 'Avengers 4' marks the end of Phase 4 of the current MCU and will see many actors leave the successful franchise. At the end of the second 'Guardians' movie, fans were treated to a post-credit sequence which introduced a new team including Starhawk (Sylvester Stallone), Aleta Ogord (Michelle Yeoh), Charlie-27 (Ving Rhames), Krugarr and Mainframe (voiced by Miley Cyrus). And Gunn would like to develop these characters even more. He said: "I'm definitely interested in the direction that these characters are headed and their roles in the Marvel Universe. "These are older characters and more criminal than our Guardians. So we're focusing on that." Gunn teased at E3 in June that he is planning on making a change to his own continuity because he has come up with a plot idea that requires it but he just hopes he won't upset fans. The 'Guardians of the Galaxy' series stars Chris Pratt as Star-Lord, Zoe Saldana as Gamora, Dave Bautista as Drax, Bradley Cooper as Rocket and Vin Diesel as fan favourite Groot. The Guardians will be joining the rest of the Avengers in the upcoming 'Avengers: Infinity War' and 'Avengers 4' as they go head-to-head against intergalactic supervillain Thanos.